On top of being one of the only local shed builders, we also are one of the only local shed movers. 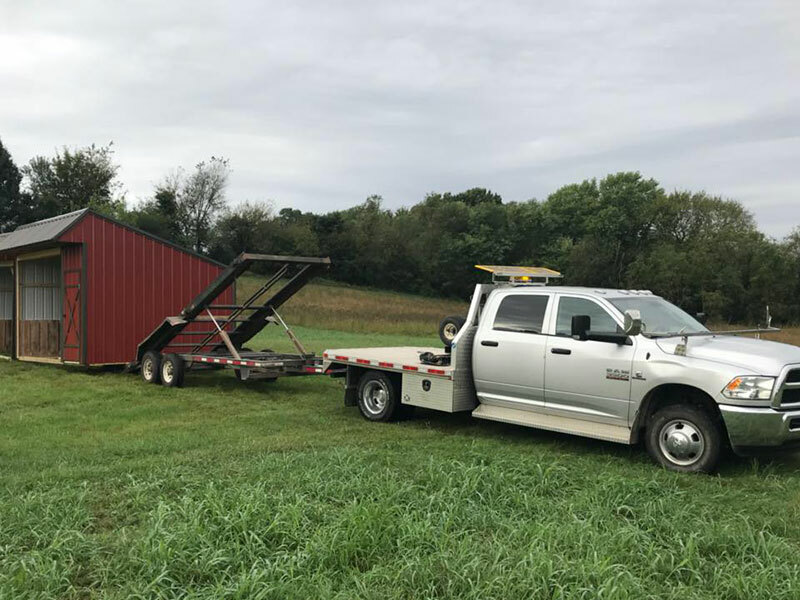 If you are moving and need your shed moved with you, or if you just need your shed moved to a different location on your property, our shed hauling services will get the job done for you. With over 15 years of experience in moving sheds, we’re certain your shed will be kept in good condition and be safely delivered to its new home. Our shed mule gives you the added advantage of being able to maneuver your shed out of and into tight spaces. We should be able to place it right where you want. Whether we are delivering a new shed or moving your older shed, you are responsible to have the site ready for the shed upon delivery. We will ensure the shed is level and well anchored before leaving.